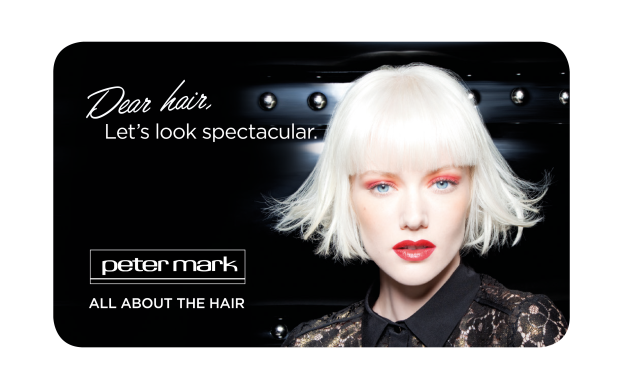 Treat your mum to a Peter Mark eGift card this Mother’s Day | SHEmazing! What better gift to give this Mother's Day then the gift of great hair? This is where Peter Mark steps in, as the hairdresser is offering an eGift card tso you're mum can be spoiled this Sunday. The brilliant thing about the eGift card is that you can treat your mum whether you're by her side or across the world on March 31. You just go online to www.petermark.ie and buy an eGift card for anything from €10 upwards. It's redeemable in all Peter Mark salons on both salon services and the wide range of luxury haircare products. Why not go even further and give your gift an extra stylish touch with the personalised message option by adding a meaningful message and a bespoke Mother’s Day gift card. The eGift Card is then sent via email to you or your loved one – so it is the perfect last minute gift. For those living closer to home, Peter Mark gift cards are the perfect way to go for something other than the go-to chocolates an flowers. Treat your mum to the only card she will want this Mother’s Day at Peter Mark.